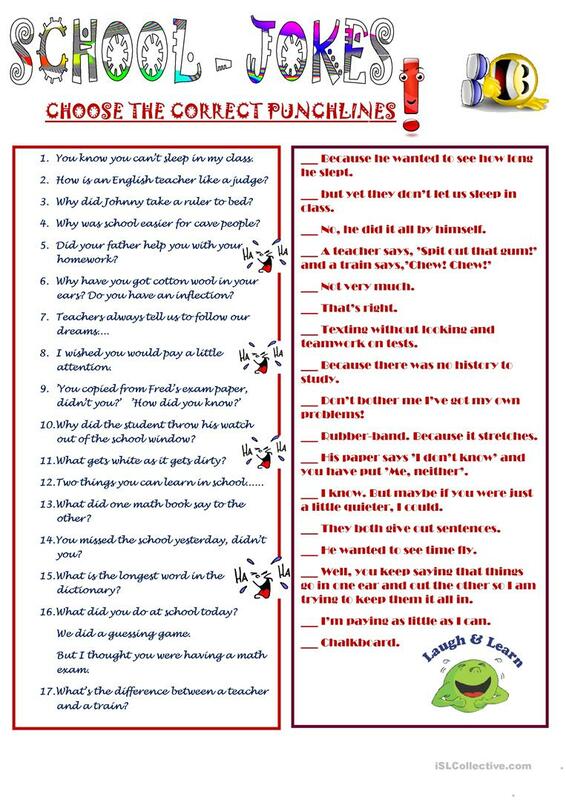 This is a funny worksheet related to the school topic. Students have to match up the two halves of each joke. Another use of the ws: students write the punchlines or the first half of each joke on their own. This downloadable teaching material is best suited for high school students, elementary school students and adults at Elementary (A1), Pre-intermediate (A2) and Intermediate (B1) level. It can be used for working on your groups' Spelling, Speaking, Reading and Writing skills. It features the theme of School.